The press reports today proclaim the sentencing of Jeff Chernick on October 30. (See, e.g., the associated press article here.) The sentence is 3 months of incarceration (no good time credit), 6 months of home confinement, and no fine. The Government had requested 9 months incarceration for the alleged substantial cooperation Chernick had given, but probably signaled the judge that some home confinement may be OK. The Government's 9 months request was 50% of the low end of the Sentencing Guidelines calculated range. The 3 incarceration and 6 months home confinement gives the Government its request of 9 months, but, as I have said before, if you must be incarcerated, home confinement is the way to go. The sentencing judge, Judge Cohn, was unmoved by a request for probation, reasoning that a sentencing that amounts to a "slap on the wrist" is "negative publicity," which "informs the public that you can cheat on your income taxes and get away with probation." Chernick paid back taxes and a $4.5 million penalty. In the plea agreement he had agreed to a 50% FBAR penalty, which on the reported $8 + million foreign accounts would account for most of the reported penalty. Chernick also prostrated himself (figuratively) before the court with the appropriate mea culpa and contrition. Chernick had accounts at UBS and NZB Neue Zürcher Bank (sometimes NZB Neue Zuercher Bank). Chernick had attempted a voluntary disclosure (even before the special initiative was announced and found that the Government already had him in its sight. JAT editorial comment: I am not sure I see a material difference between Rubinstein (1 year home confinement) and Chernick (3 months incarceration and 6 months home confinement). The New York Times Deal Book and other publications report today that the first UBS client to plead in the current round, Steven Michael Rubinstein (previously blogged here), was sentenced yesterday to home confinement for one year. If you gotta go, that's the way to go. Rubinstein is the first of the former UBS clients to be sentenced. Jeffrey Chernick (blogged here and here) will be sentenced tomorrow. I have not seen the sentencing filings in the Chernick case. If any reader has one or more of those filings, I would appreciate receiving them via email -- jack@tjtaxlaw.com. The New York Times Deal Book report is here. 1. For foreign account holders who did not make it under the 10/15 wire, the IRS Deputy Chief Victor Song says "It's never too late to say you're sorry." Song sang the praises of the regular voluntary disclosure program which is still open. JAT Note: There was no reported discussion about using the quiet voluntary disclosure for these individuals. My gut tells me he was talking about the noisy disclosure. 2. A leading tax litigator, Ed Robbins of Hochman, Salkin et al, is reported to have said that the passing of the 10/15 deadline will mean severe civil penalties for those who disclose. It is not clear from the article that he was responding to Mr. Song's comment. Nor is it clear exactly what he meant by severe (many thought 20% was severe). Whatever it is exactly he certainly meant that, relative to 20%, it would be more severe. JAT Note: It is interesting to note that, even in the criminal cases to date, the Government is just going for 50%, so one could infer that the playing field is the 30% between 20% and 50%. That is, one could infer that if that is what one is inclined to do. 3. Stating the attitude of the prosecutor and apparently responding to the report of 7,500 persons joining the 10/15 voluntary disclosure initiative, Sandra Brown, a tax prosecutor, is reported to have said that securing the admissions of "7,500 felons" was "a great success." JAT Note: I wish she would have subtracted from this number my clients, none of whom were or are felons. I hope my clients will indulge me some advocate's wiggle room in that statement. Beyond that, I don't know that it serves the Government well for a Government official to refer to these persons as felons, even if that some of them may be. Certainly not all of them are. The Government well knows that it could not have obtained convictions of anything near this number even if it knew everything and had the resources to try them all. And, at the margins, such posturing might serve to limit future disclosures. Sure the IRS wants the mea culpa, but will often accept a shrouded mea culpa that gives the taxpayer some room to say to himself or herself that he or she is not a felon. I just think use of that word is counterproductive. Thus, I think the IRS would have gotten significantly fewer voluntary disclosures in this program if the it had required in its template letter an admission as follows: "I admit that I am a tax felon." 4. The same prosecutor said that the Government now will be able to take its Swiss success and move country by country. JAT Note: That sounds nice, but leaves some questions open. After the Government wraps up UBS, is it done with Switzerland. I would think not, and the next easy pickings for the Government might be the other Swiss banks. The treaty interpretation that permitted the UBS disclosures should equally apply to other Swiss banks, unless there were some understanding with the Swiss Government that the treaty interpretation would apply for now only to UBS. Moreover, which other tax haven country banks had sufficient U.S. presence to permit them to be susceptible to the type of pressure the U.S. could bring against UBS via the deferred prosecution agreement and John Doe summons? Back on the preclusion theme I discussed yesterday here, I look at the case of United States v. Rigas, 584 F.3d 594 (3d Cir. 2009). Count One of the New York Indictment alleges a wide-ranging conspiracy (1) to create the false appearance that Adelphia's operating performance was strong and that Adelphia was reducing its debt burden, (2) to use Adelphia assets for the personal benefit of members of the Rigas family, and (3) to make false and misleading statements. The Court focused its analysis on object (2), above, since it "most closely overlaps with the charges in the Pennsylvania Indictment." The defendants were convicted of the conspiracy charge in the New York indictment. Then the Government (all right the grand jury) charged them in Pennsylvania on a federal tax conspiracy charge -- the ubiquitous defraud conspiracy charge. I picked up this relatively new case, United States v. Thyfault, 579 F.3d 748 (7th Cir. 2009), decided August 26, 2009 dealing with issue preclusion from a not guilty verdict. Thyfault may be read or downloaded here. Of course, everyone knows that a defendant found not guilty cannot be retried on the specific charge. But, can the defendant be retried on a related count for which the jury hung? I shall return to that issue is discussing the Rigas case in a later blog. The Rigas case may be read or downloaded here. On November 4, 2004, a multi-count superceding indictment charged Michael Thyfault and other individuals with multiple mail fraud and tax evasion offenses. The indictment accused the defendants of being the prime movers in a major scheme to defraud Intercounty Title Company of Illinois ("Inter-county") and related entities. The scheme involved theft and mismanagement of Intercounty's escrow funds over a ten-year period, during which time Intercounty's deficits were covered by thefts from its escrow account. Thyfault was charged with one count of conspiracy to commit mail fraud and four counts of mail fraud. The jury acquitted Thyfault on the conspiracy count, but was unable to reach a verdict on the mail fraud counts. The government then sought to retry Thyfault on the mail fraud counts; Thyfault moved to dismiss the charges on the basis of issue preclusion, arguing that his conspiracy acquittal precluded the government from attempting to prove his intent to defraud, an element of the mail fraud charges. The district court agreed and granted the motion. The government brings this appeal, contending that the district court erred in granting Thyfault's motion because a rational jury could well have found that Thyfault intended to violate the law, but not in agreement with others as charged in the conspiracy. We reverse. Finally, the Court fails to see how Defendant could possibly strengthen his appeal to First Amendment principles, and thereby distinguish the rulings in Hazel and the other above-cited cases, by denying that he has engaged in any sort of protest against the Government, its laws, or its tax policies. These decisions, after all, do not recognize the Government's right to prosecute a defendant because of his or her protected First Amendment activity, but in spite of this protected activity. The First Amendment embodies "a profound national commitment to the principle that debate on public issues should be uninhibited, robust, and wide-open, and that it may well include vehement, caustic, and sometimes unpleasantly sharp attacks on government and public officials." New York Times Co. v. Sullivan, 376 U.S. 254, 270, 84 S. Ct. 710, 721 (1964). Moreover, the Supreme Court has emphasized that "[t]o punish a person because he has done what the law plainly allows him to do is a due process violation of the most basic sort." Bordenkircher v. Hayes, 434 U.S. 357, 363, 98 S. Ct. 663, 668 (1978). The law of selective prosecution rests upon precisely these principles, permitting limited judicial inquiry into a matter that ordinarily "rests entirely in [the prosecutor's] discretion" -- namely, "the decision whether or not to prosecute," Bordenkircher, 434 U.S. at 364, 98 S. Ct. at 668 -- in order to ensure that the exercise of this discretion remains within "constitutional constraints," Wayte, 470 U.S. at 608, 105 S. Ct. at 1531 (internal quotation marks and citation omitted). Under this law, a prosecutor has no greater (or lesser) latitude, and the relevant constitutional constraints are no weaker (or stronger), when the subject of prosecutorial discretion is a vehement protestor against the government than when he or she is engaged in scholarly discourse. To hold otherwise would be to permit what the law of selective prosecution is designed to prohibit -- namely, prosecutorial decisions based upon the nature or content of an individual's protected First Amendment expression. Plainly, then, it is of no aid to Defendant to establish that he is a scholar engaged in a neutral study of the tax code, rather than a critic of or protestor against federal tax law or policy. Both "abstract discussion" and "vigorous advocacy" qualify as protected forms of expression under the First Amendment, see N.A.A.C.P. v. Button, 371 U.S. 415, 429, 83 S. Ct. 328, 336 (1963), so the proper disposition of Defendant's claim of selective prosecution cannot turn upon the characterization of Cracking the Code as one or the other. In either event, Defendant's burden is precisely the same -- to show that he was selected for prosecution on the impermissible basis of his protected speech, and not on grounds (such as prominence) that the Government may legitimately consider. As explained, Defendant has not made a sufficient showing on this point to warrant discovery on his claim of selective prosecution, much less dismissal of the charges against him on this ground. Interestingly but perhaps not surprisingly, Hendricksen is represented in this judicial crusade by Mark Lane, an attorney and noted conspiracy theorist who wrote Rush to Judgement among other books. Mr. Lane's Wikipedia entry is here. Mr. Lane has also represented another well known tax protestor, Robert Schultz. See United States v. Schultz, 517 F.3d 606 (2d Cir. 2008) (Lane on brief for Schulz appearing pro se), and We the People Foundation, Inc. v. United States, 485 F.3d 140 (D.C. Cir. 2007) (with Schulz on brief). 1. On April 1, 2009, defendant Steven Michael Rubinstein was charged with a complaint alleging that he filed a false tax return, in violation of Title 18, United States Code Section 7206(1). On June 26, 2009, the defendant waived indictment, and entered a plea of guilty to a one-count Information charging the same. The defendant admitted to failing to disclose of the existence of and the income associated with an undeclared Swiss bank account at UBS, AG. 2. Pursuant to an agreement with the United States, the defendant cooperated with the United States in its ongoing investigation into offshore tax evasion. Since entering into this agreement, the defendant has provided substantial assistance in the investigation of others who have committed offenses against the United States. This substantial assistance has been timely, significant, useful, truthful, complete, and reliable. 3. In February 2009, pursuant to a deferred prosecution agreement, UBS AG, Switzerland's largest bank, provided the United States Department of Justice the identities and account information for certain United States clients that were believed to have not disclosed the existence of or reported the income associated with offshore bank accounts at UBS in Switzerland. 4. Information provided by UBS pursuant to the deferred prosecution agreement has led to the investigation of more than 150 United States taxpayers. The defendant was the first such person to be prosecuted. To date, six additional former UBS customers have been prosecuted throughout the United States. Additionally, a federal grand jury in the Southern District of Florida returned a one-count conspiracy indictment against Swiss banker, Hansruedi Schumacher, and Swiss attorney, Matthias Rickenbach (Case No. 09-60210-CR-HURLEY). 5. On the heals of the deferred prosecution agreement, the Internal Revenue Service announced a six-month program to encourage Americans to voluntarily disclose the existence of offshore bank accounts. In exchange for coming forward, the IRS agreed to reduced penalties and to not recommend prosecution of the taxpayer. In an average year, less than 100 individuals take advantage of the Internal Revenue Service's voluntary disclosure program. The IRS recently announced that so far this year more than 7,500 taxpayers voluntarily disclosed the existence of their offshore assets. 6. The prosecution and guilty plea of this defendant has generated tremendous publicity. This publicity, without a doubt, contributed, in part, to the drastic increase of taxpayers who voluntarily disclosed their offshore accounts to the IRS. 7. The United States will provide, under seal, to this Court details of additional substantial assistance provided by the defendant. 8. The defendant's current advisory guideline range is 18 to 24 months. Pursuant to the plea agreement, the United States will ask this Court to sentence the defendant to the low-end of the advisory guideline range. Pursuant to Title 18, United States Code, Section 3553(e), and Section 5K1.1, United States Sentencing Guidelines, the United States asks this Court to reduce the defendant's sentence by one-third percent and to impose a sentence of 12 months. 1. Paragraph 8 needs some clarification. Context makes clear that the Government did not intend to be stingy in its recommendation of a "one third percent" reduction which would be virtually nothing. The Government really meant a "one-third" reduction from 18 months which is the bottom of the advisory range. And, of course, even here, surely the Government does not really mean a 12 month sentence which would insure Mr. Rubinstein's incarceration for a longer period than if he receives a 12 month and 1 day sentence (the old good time credit thing). 2. The Government says that its voluntary disclosure program normally generates only about 100 disclosures by individuals a year. The Government cannot be including the quiet disclosures made by filings with the service center. I have only anecdotal experience from my own practice and talking with others having similar practices, but I think it fair to project from this experience that the quiet disclosures are in the thousands each year. Of course, there is no way for the Government to quantify that since no one that I know of embazons in red on the amended returns "Voluntary Disclosure - Quiet Type" (indeed, then it would not be quiet). Quiet voluntary disclosures are an important compliance measure to collect the back revenue (with interest) and get those now compliant taxpayers back into the system or back fully into the system. 3. DOJ Tax wants to give credit for the effect Rubinstein's plea had on encouraging others to join the voluntary disclosure program. Yet, since DOJ Tax usually seeks publicity to encourage others to do right, should that be an extra factor warranting a downward departure? Surely, now practitioners will argue that it does. Perhaps they can argue that the publicity of the convictions spread by the news media and even blogs such as this warrant departure, particularly if the Government makes a 5K1 departure request for other reasons. 1. As the title suggests, tax schemes are proliferating. Some of the tax schemes are variations on historic scams. In any event, there should be continuing business for persons practicing in the tax crimes area. Matthews marveled at the vast sums that people were willing to park in bank accounts with no paper evidence that they owned the money, and often paper saying that some nominee owned it. He wondered whether these people would be as trusting of other tax havens now that they had been chased out of Switzerland. I could say more on this, but my readers would think I am just piling on the Swiss banks (not that any thing I would say would materially increase the pile). 4. More important for tax procedure than tax crimes, the historic division of representation in the various forums for civil litigation is blurring. Ms. Sheppard report: "And taxpayer selection of forum does not mean one set of lawyers: IRS lawyers and Justice lawyers are working together in all courts." A comment by Anonymous to an earlier blog here addressed whether, as a variation of a theme of jury nullification in reaction to prosecutorial overreaching, juries might require that guilt be "super proven." I thought my readers might find some background discussion on the criminal burden of proof issue. 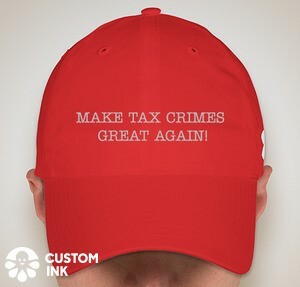 I offer some materials from my Federal Tax Crimes book (the one in process for the next edition). Courts and commentators have noted the utilitarian function of burdens of persuasion to a civilized society such as we imagine ours to be. In criminal cases, societally, it is oft stated that it is better to acquit a guilty person than convict an innocent one; Blackstone even stated that it is better to acquit 10 guilty persons than convict one innocent one. But, even in this simple – perhaps simplistic – construct for analysis, can or are we willing to say that it is better to acquit 100 guilty persons than convict one innocent person? And, when we layer on the fact that different major crimes present different risks to the community, can the equation of the risks of conviction of the innocent be assessed differently in different cases and contexts? Specifically, for example, while we might be able to let 10 or even 100 tax evaders go free rather than convict one innocent person of tax evasion, would we want the same odds to apply to persons accused of terror? You see where I am going, since we are never going to have a standard requiring certainty – whatever that is – we are necessarily going to have a standard that allows the innocent to be convicted. So, what do we give jurors – the usual guilt or innocent finders in criminal cases – to help them keep the risk of conviction of innocent persons to an acceptable level? We give them an elusive “one-size fits all” instruction on the meaning of beyond a reasonable doubt to which I now turn. The party asserting the privilege must prove the existence of each element. Here, Ruehle failed to meed the fourth element -- that the communication be made in confidence. Ruehle understood that the fruits of the investigation would be made available to the accountants. The salient point from a privilege perspective is that Ruehle readily admits his understanding that all factual information would be communicated to third parties, which undermines his claim of confidentiality to support invoking the privilege. Ruehle's subjective shock and surprise about the subsequent usage of the information he knew would be disclosed to third-party auditors--e.g., information subsequently shared with securities regulators and the Justice Department now used to support a criminal investigation and his prosecution--is frankly of no consequence here. These issues of course arise in entity investigations arising from tax cases. Upjohn itself was a tax case, and the issue has arisen in other tax cases (e.g., the KPMG prosecution). Echoing the mantra in the Nixon Watergate debacle, the Court said that "Again, the focus is on what Jump [the taxpayer] knew or should have known at the time he obtained the opinion letter." Focusing on the issuer of the opinion in a criminal context, it seems to me that the issue is the same -- to paraphrase, the focus is on what the lawyer knew or should have known at the time he issued the opinion letter. I don't think my paraphrasing is particularly insightful, but I do think it is helpful to state the truism from time to time, for I think it will help focus on the issue I raised in my earlier blog yesterday (see here). Keep in mind that the lawyer is guilty of a tax crime only if he knew the law (i.e., the crime was both knowable and he knew it) and he intended to violate the law. In an article in today's New York Times here, Adam Liptak discusses Justice Scalia's dissent from denial of certiorari in Sorich v. United States, 129 S.Ct. 1308 (2009). Justice Scalia's lament is that the "honest services" crime does not provide an intelligible standard for criminal conduct. This theme is presented in the tax cases from James forward requiring a knowable law for tax crimes. Since the tax law requires willfulness, defined as the intentional violation of a known legal duty, then the legal standard must be knowable so that the defendant -- any defendant, even the hypothetical reasonable defendant -- charged with the crime must be able to ascertain the legal standard in order to intend to violate the standard. 1. Swiss bankers are feeling a bit like Polanski these days, afraid to travel anywhere U.S. prosecutors might get them. Like Polanski, Swiss bankers just want to be left alone. appears to contain at least one household name. Speculation about the criteria for selection, which are still secret, ran to factors like account size and attempts to conceal ownership through phony entities. Fame, apparently, is also a selection factor. 4. In addressing whether Swiss banks other than UBS are in the line of fire, she comments: "Weren't all the Swiss banks basically selling tax evasion services?" The argument that prevailed in Yusuf is a stretch. It is not clear that this money laundering argument had been cleared with the Tax Division of the Justice Department. Justice is generally reluctant to stretch the money laundering rules to cover tax evasion, given the long-standing reluctance of Congress to make tax evasion a predicate offense to money laundering. So it is not as though Justice would bootstrap tax charges into money laundering using the Yusuf argument. Transferring funds with the intent to engage in conduct constituting a violation of the criminal tax fraud statutes (section 7201 or section 7206) would become a crime. Hence a taxpayer would be guilty of money laundering if a bank helped him make a transfer of funds to assist tax evasion. If a prosecutor had evidence of intent to evade tax, then that transfer would suffice to charge the taxpayer with money laundering. There would be no need to wait for a customer to file a tax return. There would be no arguments about what constituted the proceeds of the crime. Moreover, the bank that made the transfer could potentially be charged with aiding and abetting money laundering. The Government posted another notch in its publicity belt yesterday which it went public with the squeeze it put on another hapless UBS depositor and thereby, it hopes, to squeeze the masses to come forward. The DOJ Tax announcement of the plea is here. I have received a copy of the plea agreement but have not yet posted it on the web. I may do that later or, hopefully, when someone else does, I will link to it. I offer here just a few brief comments on the plea agreement in the Cittadini plea. I will probably add to this and refine or revise it (particularly if errors are called to my attention). 1. The Plea Count. Cittadani pled to violation of 26 U.S.C. § 7206(1), often referred to as tax perjury. This means, in effect, that Cittadani admitted that he will told a material lie on the tax return with respect to his reporting and nonreporting regarding the UBS account. 2. Origin of the Account. The seed monies for the accounts was originally received from his family in Argentina and deposited in the UBS account in 1991. 3. Use of Entities to Disguise. In 2001, he created a Hong Kong Corporation to avoid QI requirements, with advice and assistance of Hansruedi Schumaker. The HK corp named Swiss lawyers A.M.R. and Matthias Walter Rickenbach as First Directors. a. Identities. Identifies other Swiss enablers by name where they are already indicted (Shoemaker and Rickenbach) and by initials where not indicted (yet). b. U.S. Activity. Meetings with one of the enablers were held in the U.S.
a. Tax Loss (including all relevant conduct): "the tax loss associated with the accounts at UBS that were disclosed to the Government pursuant to the Deferred Prosecution Agreement with UBS, and of which the defendant was the beneficial owner for the tax years 2001 through 2003.” See my comments above. b. Sophisticated means. A no-brainer. c. Acceptance of responsibility. A no-brainer. Defendant understands that the United States will tolerate no deception from him. If, in the estimation of the United States Attorney or the United States Department of Justice Tax Division, information or testimony provided from the date of the Plea Agreement proves to be untruthful or incomplete in any way, regardless of whether the untruthfulness helps or hurts the United States' case, the United States may consider that Defendant has breached this Plea Agreement. d. The parties agree that information provided by Defendant in connection with this Plea Agreement shall not be used to determine Defendant's sentence, except to the extent permitted by USSG § IB1.8. USSG 1B1.8 provides that information divulged pursuant to plea cooperation agreements contains the usual suspects designed to make the cooperation more effective, but also contains the following exceptions permitting the Government to disclosure: "(5) in determining whether, or to what extent, a downward departure from the guidelines is warranted pursuant to a government motion under §5K1.1 (Substantial Assistance to Authorities)." The defendant further agrees that any evidence, including statements and documents, provided to the United States by the defendant pursuant to a Proffer Agreement, without any limitations, can be utilized by the United States in its civil examination, determination, assessment, and collection of income taxes related to his income tax returns and any related corporate/entity tax returns, or any other civil proceeding. It is unclear precisely when the proffer(s) occurred, but if they occurrred pre-indictment, I think they have the Rule 6(e) problem that, I am sure, they would prefer to avoid. (I have previously commented on this here.) Certainly, the IRS can get that evidence from him, assuming they formulate the right requests and asks the right questions (based on information independent of the grand jury investigation), but I think it is highly suspect for the "United States" to turn over that information so imbued with the grand jury investigation which was the only investigation DOJ can conduct in a tax case. I have previously here invoked the famous quote of Samuel Clements' dba Mark Twain for claims that are more smoke than substance. I invoke it again to address the notion that Switzerland has seen the light and will join the civilized world -- at least that portion of it that the OECD here influences (which in the tax world is substantial) -- to give more transparency with respect to taxes of other countries. Joann M. Wiener has an interesting and excellent article here titled "Switzerland, No Longer a Tax Haven?" She addresses how Switzerland with a stroke of a pen can give the appearance but not the reality of legitimacy to its continuing, profit driven, need to enable tax evaders. Switzerland has demonstrated over and over that it will protect its premium franchise in the tax haven business, so that it can continue -- perhaps not at the same level -- to enable taxpayers in other countries evade taxes for a fee that includes a healthy share of the taxes evaded for its enablement services.